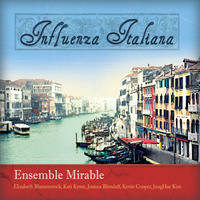 Ensemble Mirable: Rare and extraordinary music of the baroque. 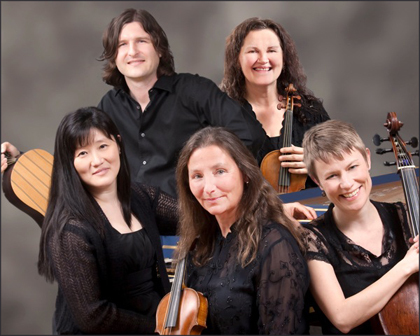 Ensemble Mirable (Mirable - old French, meaning astonishing, strong, powerful) is a San Francisco Bay Area based period instrument ensemble that originated in 1996 at Indiana University's Early Music Institute where Joanna Blendulf and JungHae Kim were then studying. Since its inception, the group's focus has been on exploring the many variations in continuo performance across different baroque styles and on bringing the music of lesser known composers to the public's attention. Mirable has built an impressive reputation over the ensuing years, earning awards from Early Music America and critical acclaim for performances to enthusiastic audiences in San Francisco and throughout the United States. 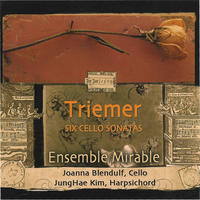 Over the past decade, in addition to live performances, Mirable has been engaged in producing a series of high quality compact disc recordings that now includes Triemer Six Cello Sonatas, The Virginalists, Conversations Galantes, D'Anglebert Pieces de Clavecin, 1689 Paris, and Influenza Italiana. Ensemble Mirable lives in California, USA. 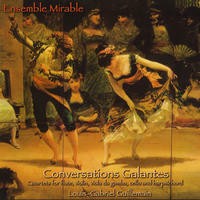 Tagged as: Classical, Baroque, Instrumental, Cello, Composer: Louis-Gabriel Guillemain, Flute, Viola da Gamba, Violin.